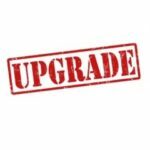 Want to know how to upgrade your DIRECTV equipment? It’s as easy as picking up the phone and calling the product experts at Signal Connect. It seems like everyone wants to know how to upgrade DIRECTV equipment these days. Many satellite TV customers have heard about DIRECTV’s plans to phase out its standard-definition receivers. As a DIRECTV Authorized Dealer, we’ve helped thousands with their DIRECTV upgrades. We can help you, too. Contact us to see if you qualify for an affordable DIRECTV upgrade with or without a contract extension or DIRECTV protection plan. Then let us guide you through the upgrade process and get you connected to DIRECTV quickly and easily. If you’re thinking of a DIRECTV upgrade, then you’re probably planning an upgrade to DIRECTV HD or 4K programming. Unless your DIRECTV system is less than five years old, you probably can’t simply purchase one of DIRECTV’s newest receivers then swap out your previous-generation equipment. 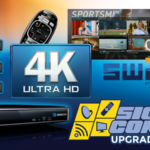 You’ll need a DIRECTV upgrade to Single-Wire Multiswitch (SWM) technology. Why? 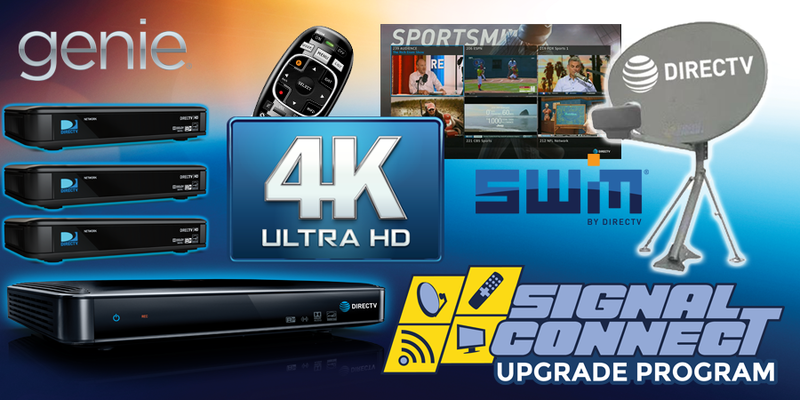 Because this technology is required for all DIRECTV upgrades, which includes a DIRECTV upgrade to HD or 4K Ultra HD. You can’t do any of these things with your older DIRECTV DVR equipment, which is why you should upgrade to DIRECTV Genie today. Did we mention that DIRECTV is phasing out its older DVR equipment? Once it’s gone, it’s gone for good. Get ahead of the game by upgrading to DIRECTV Genie today! We get this question a lot. People usually ask us this after they hear about the costs involved with a DIRECTV Genie upgrade. We don’t blame you if the thought crossed your mind. The reality is that some viewers are able to get a DIRECTV Genie upgrade for free, but it’s rare. To get it, you must be eligible according to DIRECTV’s rules for free hardware. For example, you have to have the same number of TVs and you’re already paying DIRECTV’s Advanced Receiver Services fee. The best thing to do is give us a call. We can walk you through the process before you make your decision. So if you’re wondering how to upgrade DIRECTV to Genie, the answer is simple. Pick up the phone and call Signal Connect and tell our team that you’re ready for the DIRECTV upgrade to Genie. If you want to know how to upgrade DIRECTV to HD or 4K, the answer is the same. Call us at 866.726.4182 and talk to one of our trained technicians who’ll help you with your DIRECTV upgrade. Or, just fill out the form below and we’ll call you!